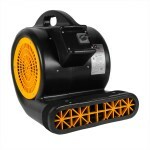 The B-Air Big Bear vortex blower is one of our most powerful axial air movers. It comes standard with a wide base with lockable wheels for stability and is equipped with a 2” Velcro strip on the exhaust port’s outer perimeter to accommodate a secure connection to any air puppet of up to 20 feet in height. The 3/4 HP motor, only pulls 8 amps on its highest setting, and moves up to 5200 CFM of air. This makes it the most powerful axial blower we have to offer. The Big Bear vortex axial fan has one of the lowest decibel ratings in the industry, and can be used for indoor or outdoor use. The 4 point base is so stable, it can be used in any environment to dry any and all surfaces. You can also use it as a ventilation fan in automotive, or plant production plants, to move air throughout the facility. If these are not the style fans you are looking for, please take a look at our complete line of snail style carpet dryers. 3/4 HP motor moves up to 5200 CFM of air, making it the most powerful unit on the market. 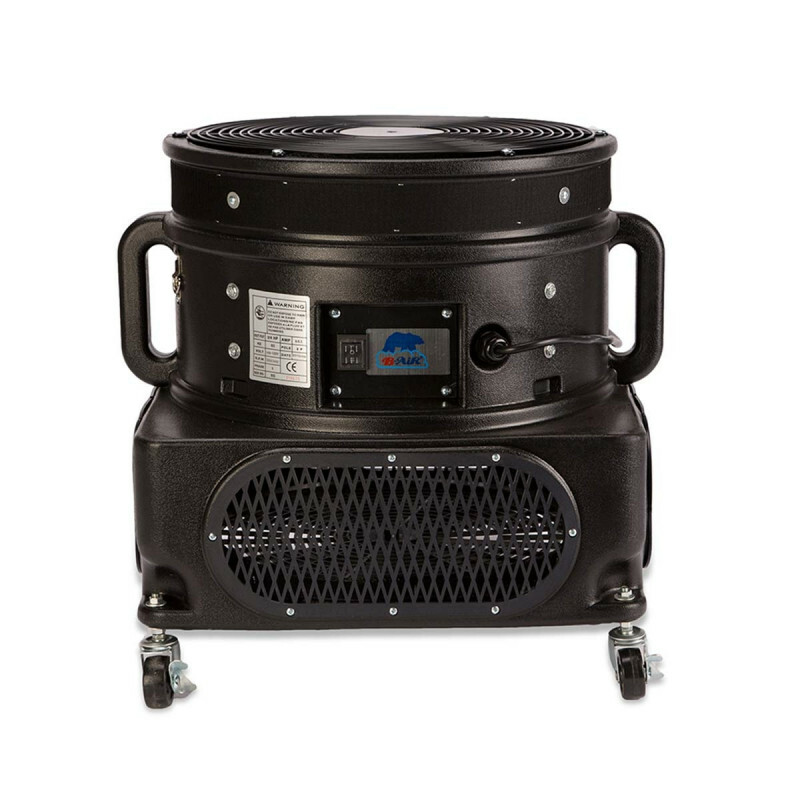 8 total amp draw makes it easy to use multiple vortex axial fans in any environment. Built in wheels make it easy to transport from job to job. This is a review for the Big Bear Vortex Axial Fan.